The discussion about disabilities and special needs in China has come a long way in recent years, despite the reticence brought about by traditional attitudes on both the familial and the societal level. In a move which could be seen as a step forward for people with disabilities (PWDs), the State Council of China designated August 25 as “Disability Awareness and Prevention Day,” in response to a request from the China Disabled Persons Foundation (CDPF). As many as 85 million Chinese people live with some form of disability, at least according to a national census carried out in 2010. The same data revealed that almost half of Chinese PWDs (46 percent) at that time were illiterate due to poverty, social discrimination, or the lack of barrier-free facilities and teaching staff prepared for students with special needs. The government’s National Action Plan on Disability Prevention (2016-2020) mentions prevention and control of disability in two different contexts: the first, and perhaps the polarizing one, focuses on birth defects, as about 900,000 babies are born with congenital disorders every year. The other focus is the improvement of environments to prevent or reduce the risk of injuries or diseases (infectious, endemic, chronic, and mental) which may cause temporary or permanent debilitation. SENIB conducts regular gatherings of special education professionals and interested parents, where they discuss topics including co-teaching, strength-based learning, and play therapy. On the sidelines of that national plan came China’s move to revise the regulations on the education of PWDs, which promotes integrated education and opens up mainstream schools to students with special needs, as well as mandating local governments to allocate funding and resources for the education of PWDs. Grace Zhang, the managing editor of our sister brand Jingkids, experienced that in 2015 when her then-three-and-a-half-year-old son was “misdiagnosed” as having Asperger syndrome. “My son dropped out of kindergarten because of violence. The principal suggested that we visit a doctor to see if my child is autistic. Later, a specialist did not diagnose autism but said my son had behavioral problems, so he referred us to an institution for behavioral training. He made some progress after a year of training so we decided to let him return to an integrated school environment,” she told us. 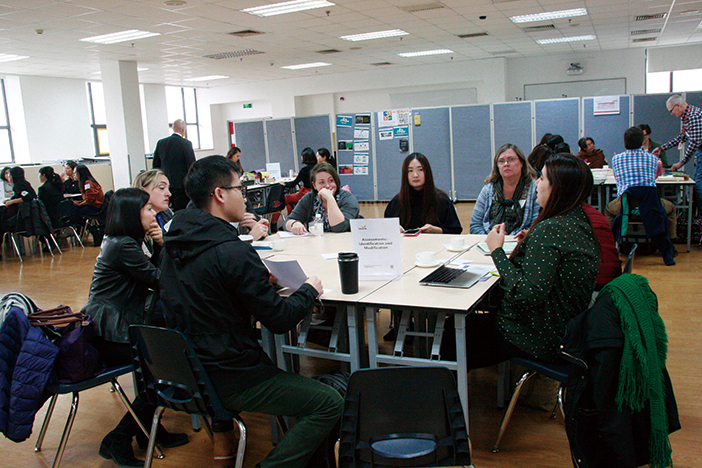 In the context of international education in Beijing, many institutions offer learning support services and at the same time, there’s an active community of special educational needs (SEN) educators and professionals in the city. Such a group is the Special Education Network in Beijing (SENIB) founded in 2009. 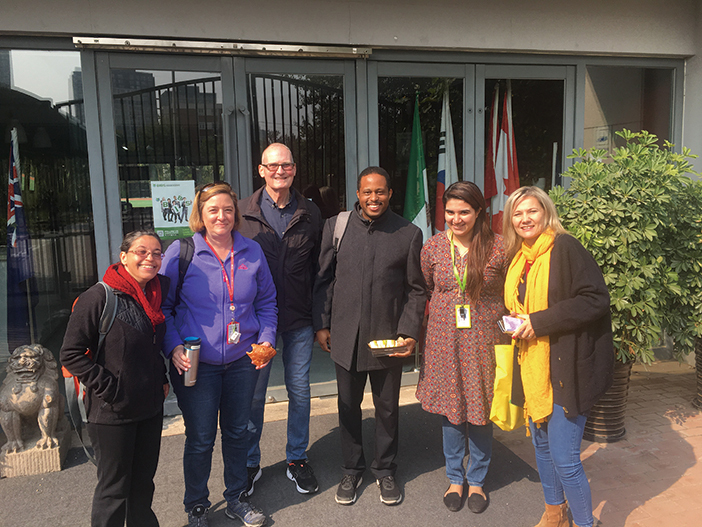 We caught up with one of SENIB founders, Dr. Reed Rhodes, who is also an Early Childhood Center Student Support Teacher at Beijing City International School (BCIS). Tanya Farrol (second from left) and Reed Rhodes (third from left) founded SENIB in 2009 for special education professionals in Beijing. What can you tell about progress in the discussion about special needs/education in Beijing? Dr. Rhodes: The size of SEN programs within schools has grown and there has been a gradual merging of learning support (LS) and English language learning. Tanya Farrol and I founded SENIB in 2009 for SEN professionals to share resources and support each other within the context of Beijing. The current SENIB membership is currently over 200 professionals and people from the community, and has almost doubled in the past five years. SENIB is the first local chapter of Special Education Network in Asia (SENIA), an association of educators, professionals, and parents whose mission is to advocate for and provide resources/supports for differently abled individuals. • There’s an increase in the number of external expertise providers and there has been a move to offer a variety of services at multidisciplinary centers specifically catering to SEN needs. • The number of shadow teachers in schools has also increased. • There’s an improvement in the provision of professional development about SEN provided by international schools and delivered to local Chinese schools. What should parents whose children may have special needs or been diagnosed with a learning disability expect in terms of special education in Beijing? Dr. Rhodes: Although there is currently a dearth of educational placements for children with severe SEN (there is only one classroom for these children in Beijing), we at SENIB see a trend that most schools now employ LS teachers and counselors while a few have specialists like speech and language therapists and psychologists. Parents can contact schools directly to see what programs are offered. Special needs is still a tricky topic, especially at the family level. What advice can you give to parents/families that feel burdened or rejected because of a special needs member? Dr. Rhodes: At the very minimum, families can access help from an external expertise provider, especially at multidisciplinary centers that offer an array of specialists. But if they are at a loss, we have our WeChat and Facebook groups where families can meet like-minded people and specialists who can provide support. We also invite parents to our seasonal activities like a Resource Fair and general meetings of special needs educators held at different international schools in the city. How do special needs educators in Beijing integrate 21st Century education into their SN programs? Dr. Rhodes: The use of social media connects SEN providers who share information and resources and actually, many SENIB members in Beijing work at schools who are members of Next Frontier Inclusion (NFI), an organization that represents cutting-edge information for international educators in the field of SEN. NFI promotes and protects the interests of children who learn in different ways or at different rates by supporting schools in all aspects of their journey towards inclusion. 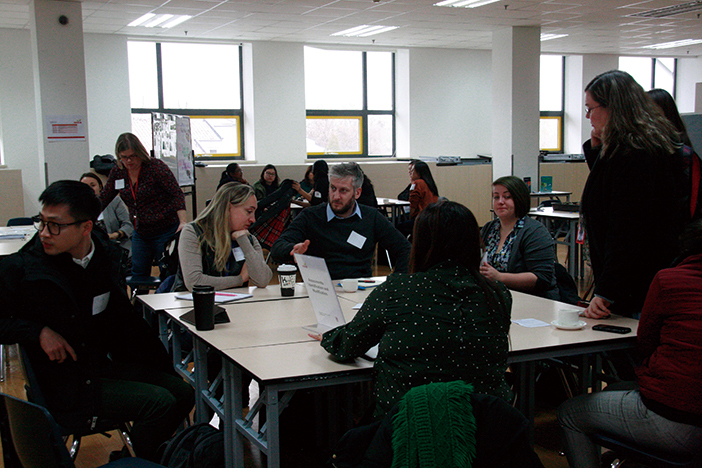 During the school year, professionals from NFI regularly present workshops all over the world, including the yearly SENIA (Special Education Network in Asia) conference, as well as conducting special programs during the summer. 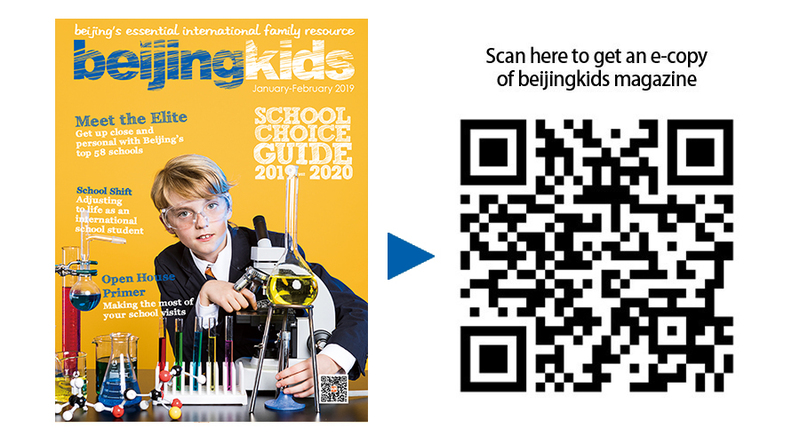 This article appeared in the beijingkids 2019-2020 School Choice Guide.